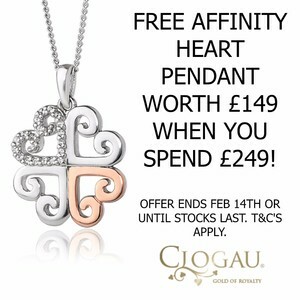 The distinctive Love Vine collection takes inspiration from the enveloping vines that surround the entrance of the Clogau St David's gold mine in the beautiful Snowdonia mountains. 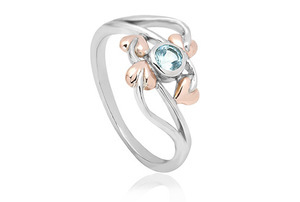 The silver and rose gold Love Vine ring features an aquamarine and contains rare Welsh gold the gold of Royalty since 1911. 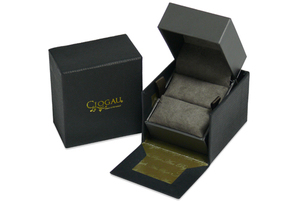 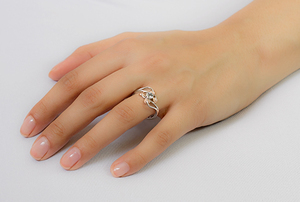 This Love Vine ring is an ideal piece of jewellery that can be worn during both formal and informal occasions.